Isn’t it strange when you talk to other business people, they always say they are really busy? They are behind in their workload, wish they had more time, etc. We have all been there at some time of our career. Yet, my experience as an SME business owner and working with similar owners, is that too many business owners work in excess of 60 hours a week! The consequences of that sort of work time is poor family time, no time to stay fit and healthy, and being an inefficient owner. Whilst the day-to-day stress of excess hours becomes ‘manageable’ and coped with, the real shock comes when looking to sell the business. Everybody seems to come to you to make decisions. The big challenge is doing these things, not just reading about them. 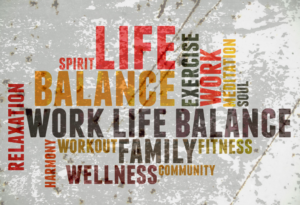 Work-life balance is important and unless you have great self-control you will find it hard to make all the necessary changes to get the balance that you want for you and your family. Without being disciplined, you risk being dragged back to sorting out all that stuff you want others to do. Remember, as the boss, you don’t have a boss to hold you accountable. Yet the most successful business people have a propensity for taking action on a regular basis. This sets them apart from the rest. Make a public declaration to friends, family or other people who you don’t want to see you fail in your promise to take action. Bear in mind, you need to give those people updates on your progress. A common example is posting your exercise progress on Strava or social media. Hire a coach or join group coaching. You need to have a coach or group you can trust and who will work with you in a positive and engaged way. Having a coach or group that simply reminds you of your failure to meet commitments, is not worth it. Get a partner who could be a colleague or coach or friend. Similar to the point above, selecting the right person is important – someone you can trust to support you and challenge you at the same time. Give yourself a negative consequence, i.e. if you don’t take an action you will do something you don’t like doing. This probably works well in groups. The negative consequence could be having to make a speech at the next group meeting or take the minutes of a meeting. Give yourself a positive reward incentive, the opposite of the above point. In this and the point above, the success of either approach depends on what motivates you and help you apply self discipline. In all these accountability tactics, you need some element of self-discipline and the capacity to do something that you don’t normally do. You have to practice making these commitments to yourself and start small. This “start small “ approach will give you confidence that you can do it. 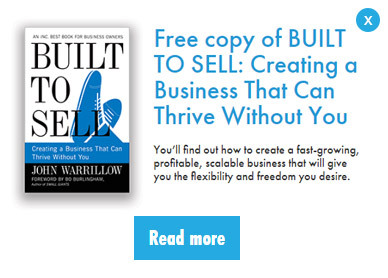 To find out more about creating a business that can thrive without you, download this complimentary copy of the key chapter in this business changing book: The Implementation Guide – How To Create A Business That Can Thrive Without You. This might be the first step to creating the business and lifestyle you dream of.